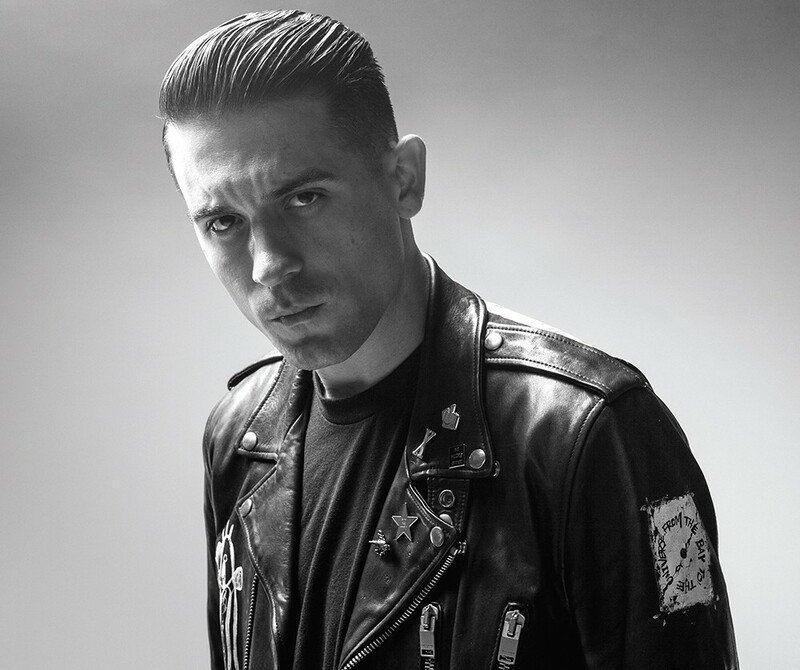 Rapper G-Eazy isn’t afraid to get serious. In G-Eazy's music video for "Me, Myself & I," the hot first single off his December release, When It's Dark Out, viewers see three sides of the Bay Area rapper. G-Eazy No. 1 wants to be left alone at a surprise birthday party; G-Eazy No. 2 is unabashedly enjoying the booze and babes; and G-Eazy No. 3 berates G-Eazy No. 1 for not appreciating everything his career has brought him. All three sides have their time in the spotlight on When It's Dark Out. This wasn't intentional, but the rapper says he isn't surprised that each part came through. "I'm as Gemini as a Gemini could be," he wrote in an email. "They're all different sides of my personality, so it's natural for each of them to find their ways onto my album." Though When It's Dark Out, which peaked at No. 5 on the Billboard charts, is not without a few party anthems for clubgoers to eat up (especially "Order More" featuring Starrah and "You Got Me"), the album shines most when G-Eazy opens up. Exhibit A: "Everything Will Be OK" featuring Kehlani, a song in which G-Eazy addresses losing friendships and relationships because of his career, thanks his brother for shouldering the weight of their mother's illness and also about finding his mother's girlfriend dead from an overdose. Exhibit B: "Drifting," featuring Chris Brown and Tory Lanez, is about growing apart from people you care about. G-Eazy says these stories weren't featured on his first album, 2014's These Things Happen, because he simply wasn't ready to tell them. "It takes a lot of nerve and bravery to go there, and then on top of that, to put it out there and share it with the world," he says. "I had to work up the confidence and courage to open up like that in my music." It took a lot of blood, sweat and tears, personally and professionally, for G-Eazy to get to this point, but he says it was all worth it, as fans now have a better understanding of who he is. The underutilized venue-within-a-venue's 5,900-seat capacity is perfect for up-and-coming acts, like G-Eazy, who have outgrown the INB Performing Arts Center's 2,700-seat capacity but who aren't quite ready for the full arena, a 12,500-seat space. Next up at the Star Theatre: the Piano Guys on Saturday, May 21.